Before I moved to Brooklyn, the only soap I ever knew was a generic castile. It came in a big container that we’d pour carefully into each of the hand dispensers throughout the house I grew up in in Pennsylvania. We’d use it for everything: face, hands, dishes, and in the shower. It worked fine—nobody had any complaints and none of us smelled like lye. After moving to Williamsburg, Brooklyn in 2011, I started working for a company that sold locally made and all natural soaps and I became something of a soap savant. As I sampled the multitudes—olive oil, coconut oil, beeswax, shea butter, and more—I discovered that some were better than others at certain tasks. And I mean much better. A rough bar soap (versus liquid soap) is best for washing hands before and after food preparation because of the ability to hold the bar tight. 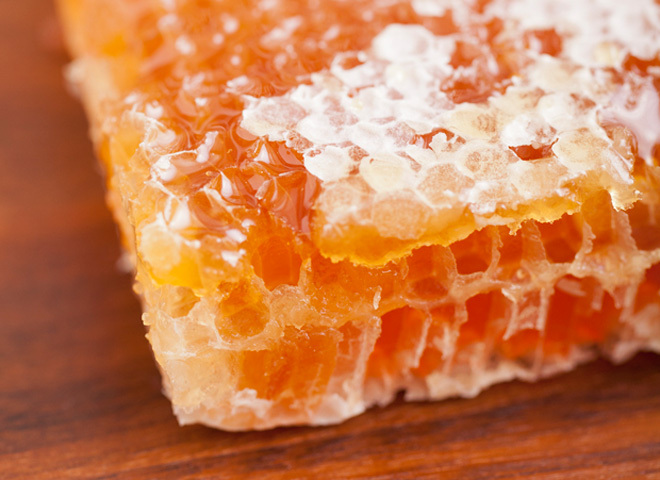 Beeswax helps the bar from becoming slippery so you can really scrub. Others, like glycerin or even sulfur soaps, are better for the face where tight invisible pores are the concern. Castile and liquid soaps are good on dishes and the body because they soften, leave a squeaky clean feeling, and don’t irritate. Some of the soap I tested, had I known the word then, was “scullery” soap, which meant it was specifically for “dirty work” in the kitchen, and usually made with some kind of mineral salt and marine ash, and no animal fats. 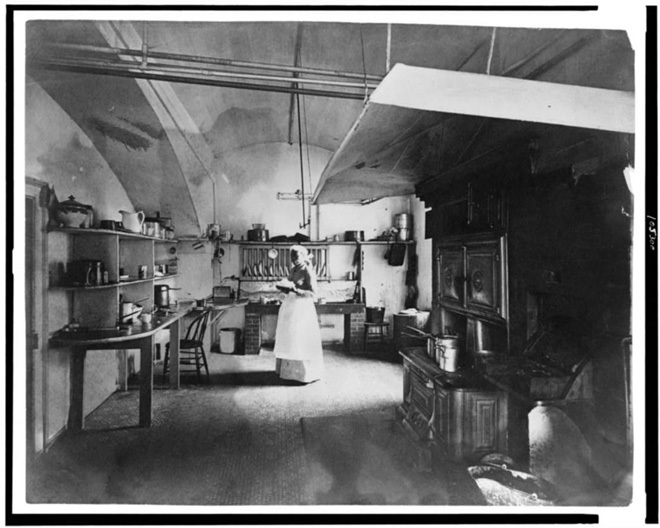 A scullery refers to a small area off the kitchen (often in a stately mansion or on an estate) where you’d find a sink and a kettle. It was where the maid would do her cleaning and cooking. A broom and mop would also be close at hand. Part of the working class culture since the Middle Ages, scullery soap has been around as long as maid’s quarters. Its definitive origin is vague, but some of the earliest varieties were produced in areas where raw materials were natural to the land such as the Mediterranean, where ingredients included olive oil from local groves and sea salt. A master soapmaker would take up to two weeks to make each batch, heat the ingredients for days in enormous cauldrons and taste the mixture to see if it was correct. In the scullery where it typically landed, no exotic soap would ever find its way into the soapbox next to the traditional wooden plate drainer. There you’d find an ordinary household scullery bar, usually with little pieces of grit or feathers embedded in it where the maid probably used it to wash a goose or a piece of meat on its way into the kitchen. She and the other kitchen workers would also use this bar of soap to wash themselves. The modern versions of scullery soap include vegetable fats and other ingredients like salt and naturally antibacterial substances to dissolve grease and grime and disinfect hands without roughing up skin. 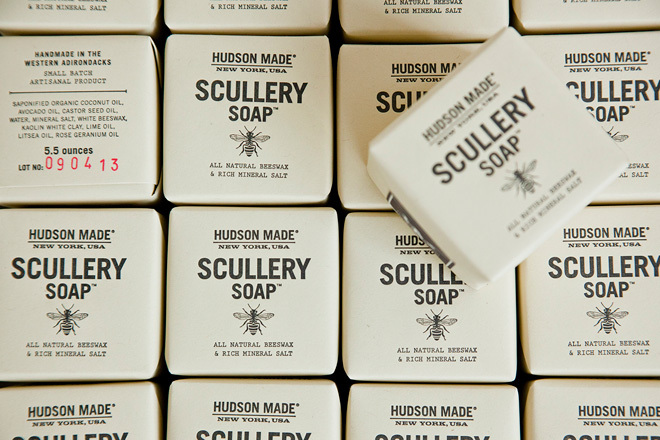 Hudson Made has crafted its own version of the scullery soap featuring beeswax (natural antibacterial properties), coconut oil (to help soften and silken skin), and other ingredients that make it perfect for chef’s hands—ingredients traditional scullery soaps wouldn’t have had. In the book If Walls Could Talk: A History of the Home, it’s been documented that the soap of some scullery maids was an old black variety made of ashes, linseed oil and sand, which essentially just moved grease around. 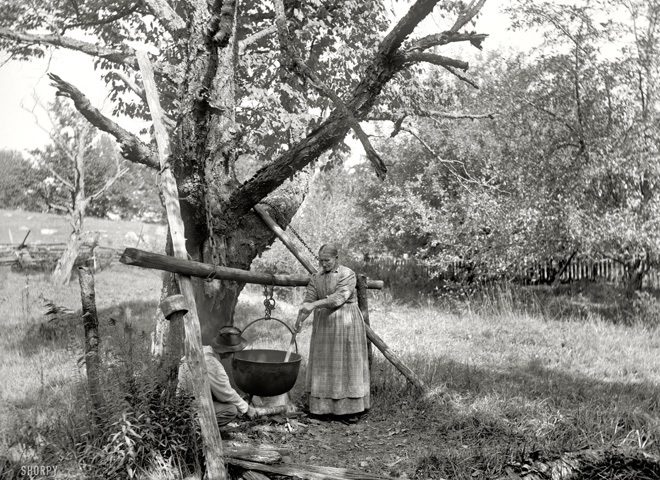 The next generation of scullery soap used water and soda, which could tarnish copper pots and scratch others made of iron. 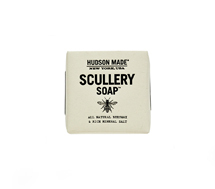 There is a reason Hudson Made’s modern interpretation of scullery soap is not recommended for pot washing, but it’s not because of soda. It’s because the ingredients are designed to have a positive impact on hands and skin, and vegetable fats can tarnish the surfaces of copper and cast iron, aside from not being the proper way to clean cookware anyway, which should be worked with a natural bristle brush—not scoured with thick bar soap. 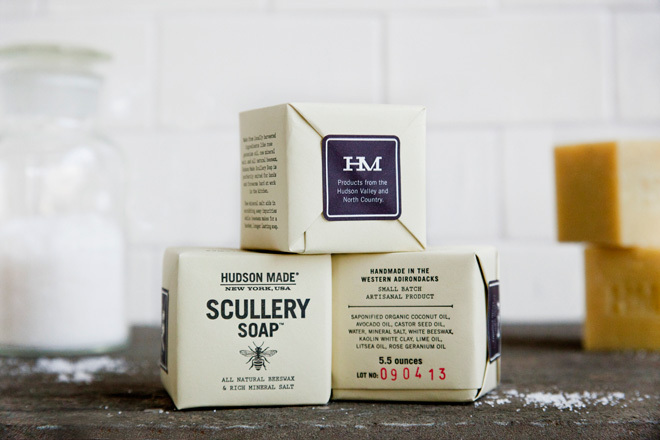 Hudson Made’s scullery soap pays homage to the tradition of the homestead and works well on all of your rough spots, whether you’re plucking a chicken or a keyboard. If you choose to use it on the floors and walls as often as the arms and hands, like those old scullery maids once did, well… that’s up to you. 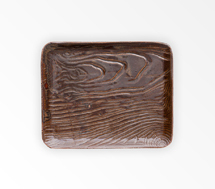 But one thing is certain: this soap isn’t just well suited to a “girl of all work” as the old scullery soaps referred. It is a soap for anyone who possess multitudinous passion for the kitchen or a hard day’s work, and for whatever those efforts may yield. 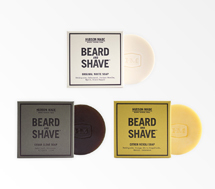 Shop our complete collection of soap and accessories here.